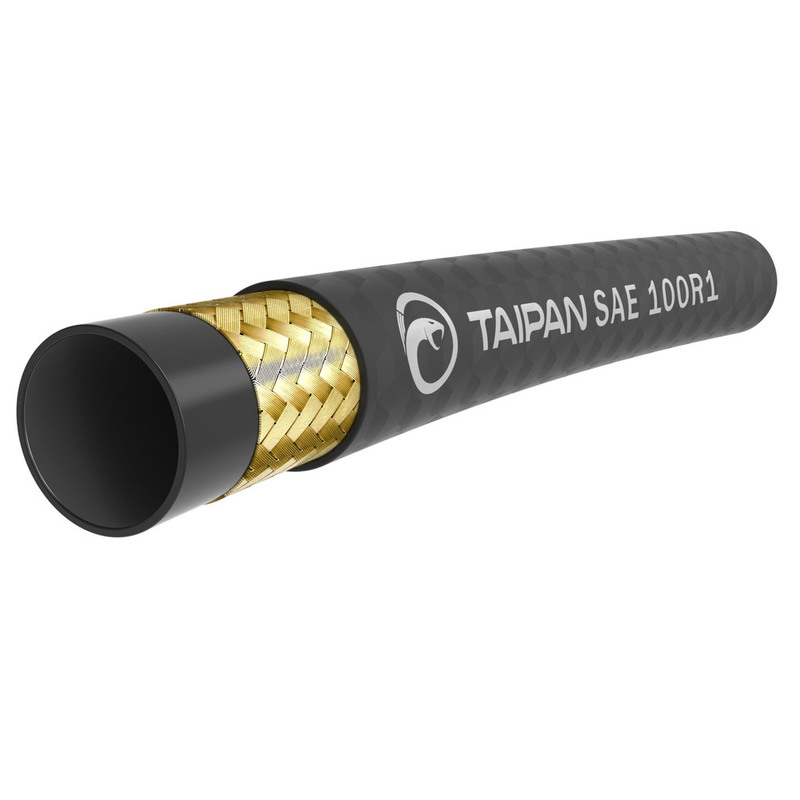 TAIPAN 1 WIRE HOSE 3/16"
TAIPAN 1 WIRE HOSE 1/4"
TAIPAN 1 WIRE HOSE 3/8"
TAIPAN 1 WIRE HOSE 1/2"
TAIPAN 1 WIRE HOSE 5/8"
TAIPAN 1 WIRE HOSE 3/4"
TAIPAN 1 WIRE HOSE 1"
TAIPAN 1 WIRE HOSE 1 1/4"
TAIPAN 1 WIRE HOSE 1 1/2"
TAIPAN 1 WIRE HOSE 2"
Construction Synthetic rubber tube: one braid of high tensile steel wire reinforcement; oil, weather and abrasion resistant synthetic rubber outer cover. 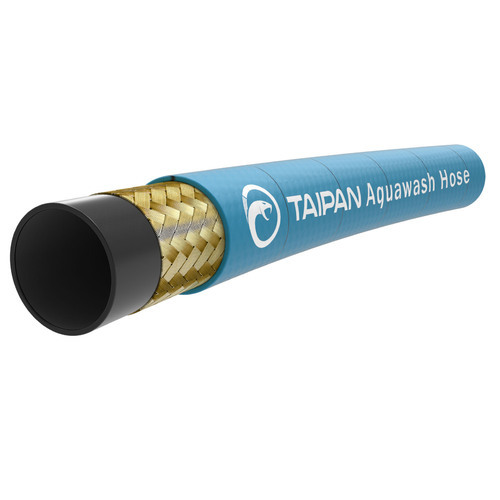 Application High pressure service with petroleum base hydraulic fluids, water-glycol and water-oil fire resistant hydraulic fluids, hot oil grease, lubricants, crude and fuel oils. For air applications above 100psi the cover should be pin pricked.